Can I combine "monstrous" with Training Grounds? Does card:Training Grounds reduce the mana it cost of card:Rings of Brighthearth ability if I have card:March of the Machines? Activated abilities of creatures you control cost up to less to activate. This effect can't be reduced to less than one mana. I may suggest more mass removals like Damnation and its budget versions. 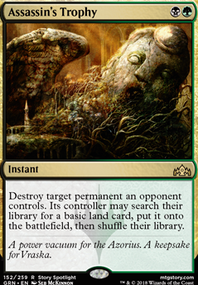 Also some pw removal like Hero's Downfall or Vraska's Contempt . Finale of Eternity and or Rise of the Dark Realms for massive reanimation. Training Grounds to get Scarab's ability less expensive. A cheap win cond can be obtained through Archetype of Imagination . And to deal with Flying creatures Levitation . I agree, the synergy with the evolve creatures is there ( Fathom Mage especially), BUT.. I get the same thing via Deadeye Navigator 's bounce ability + Biogenic Ooze (for the most part). Additionally, I can reduce the cost of his activated ability with Training Grounds or Biomancer's Familiar to just . And also, I could reset Fathom Mage 's counters with a bounce as well. So, I'd get fatter oozes from Ooze Flux , but it costs me more mana and is conditional on me having counters to manipulate. Sticking to just Deadeye Navigator keeps my combo engine smaller and easier to handle. Also, I can tutor for Deadeye, but not for Ooze Flux . Master Biomancer Intrigues me, though. He seems especially useful as a general lord/ pump. He also synergizes with Coat of Arms , acting like a second Arcane Adaptation . Any ideas how I could fit him in? is Training Grounds really worth it? I also don't really get what the big deal is with Dream Eater but that might just show what a bad blue mage I am. I personally have problems with such an unflickerable as Walking Ballista being in a deck that's so much about flickering. Have you thought about Thornbite Staff for infinite damage instead? When it's not acting as a finisher it can give you more roon triggers. hungry000 on A wild PTERARAT appeared! Thanks, it's pretty fun when it works. Unfortunately Torrent Elemental doesn't get a discount from Training Grounds or Biomancer's Familiar since you don't "control" it unless it's on the battlefield. 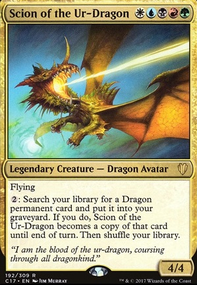 I do also want to keep the number of non-spells in the sb low for Pteramander's ability, and Torrent Elemental isn't quite good enough to replace any of the creatures in the main deck. I have a lot of experience in the level up mechanics (see my deck Magic: The RPG (Level Up/Proliferate)) and I think I can offer some good perspective on the mechanic and how (I think at least) to make it as strong as possible. First off, lets address the concerns I have with your deck on a fundamental level as opposed to the mechanic of level up and how best to use it. 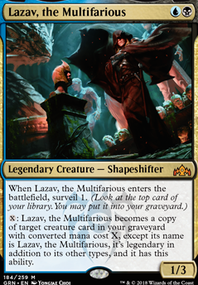 Modern is a very fast format and I feel like the average CMC in your deck is a bit high without any actual ramp effects. Not to mention your creatures don't just want you to slap them down on curve - you have to use your mana to develop level counters on them as well, which means you either need a way to gain a bunch of mana quickly, or you need to cheat level up costs. Considering the speed of decks in the format I think even with just adding a way to cheat level counters cheaply wouldn't be enough. Your curve isn't bad by any means, but i think it can use some tightening up. Your deck currently has probably way too many creatures and planeswalkers, and currently has absolutely no way to interact with your opponent. In modern having a way to clear your opponents early threats especially with a high curve feels essential to me. With 4 colors, you have tons of options ( Path to Exile , Fatal Push , Remand , Mana Leak , etc) for cheap removal. Since our deck is mostly winning through creature damage, artifact removal might also be necessary ( Fragmentize , Naturalize , etc) If your opponent plays something that disrupts our gameplan, or a big threat, we have no current way of dealing with them. 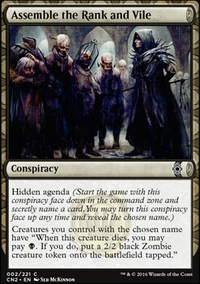 The current collection of Planeswalkers are kind of unnecessary and feel forced, could be replaced with removal to lower the curve and allow the deck to interact with our opponent. Trying to run 4 colors especially with a specific and admittedly slow and weak mechanic like Level up feels like a bad idea to me. For one, our lands are mostly slow that give us more than 2 colors, we have no artifacts or creatures that produce mana or color fix, and the benefits from being 4 colors feels minor. I recommend U/W for level up far more than G or B. Most of your creatures cost 3 mana to level up. 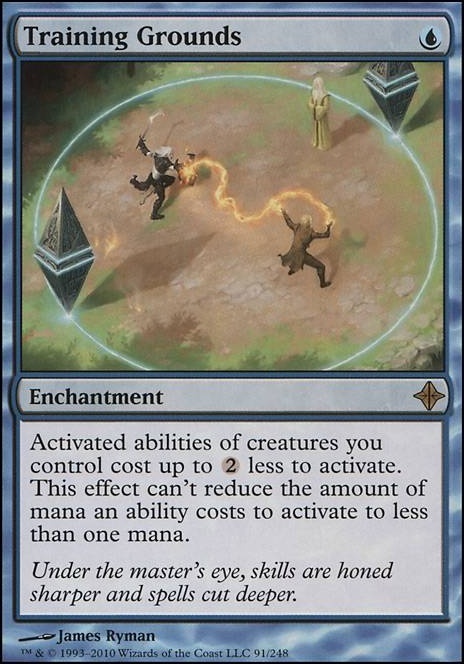 Thats super expensive for something you have to do multiple times at sorcery speed, so many times you will find yourself spending mana on a level just to have your creature removed afterwards, wasting your turn and potentially losing you the game. 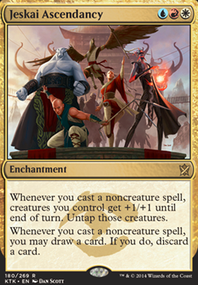 One way around this is Training Grounds , which if you're planning on keeping the deck as it is with the creatures, is a 100% must have card for the deck. Venerated Teacher is good too, you already have that in the list. Time of Heroes could be useful as it's a pretty powerful effect for the mana cost.